Necklaces are unique pieces of jewelry that are popular with just about anyone – men and women, young and old. They are versatile accessories that could instantly change the look of an entire outfit and having several pieces could definitely add depth to your wardrobe without having to spend so much on more clothes. Aside from being decorative vanity items, however, necklaces do not usually carry much utility value with them. This is precisely the reason why beaded lanyards are gaining popularity all over the world; they offer not only aesthetic value but functional usefulness as well. The beaded design has the best of both worlds, which allows you to have a stylish necklace while also keeping your small valuables about your person within easy reach. Some people choose to wear them for purely decorative purposes. On the other hand, most people appreciate that attaching a lanyard to a valuable item helps to ensure that it would not get lost or stolen. If ever it gets misplaced, it is much easier to find with something attached to it, compared to losing a tiny object such as your keys, for instance. Lanyards provide a means for you to look your best while also keeping your valuable items safe and secure. 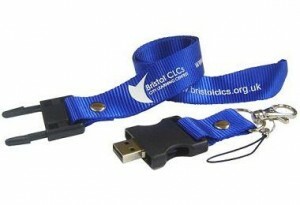 If you work in an office setting, the lanyard is a vital tool to keep small but important items within arm’s reach. They can be used to hold employee IDs, parking cards, drawer keys, USB sticks and practically anything under the sun that is of reasonable size. Lanyards can save you a great deal of time because you don’t have to rummage through your entire bag or pocket. Working in a high-security environment necessitates use of the lanyard as well.Security passes and access cards should be easily accessible, but must also be kept safe from possible loss or theft. Employers most likely provide lanyards for their employees in these environments as losing an access card could result to a great deal of issues for the company, considering that it could end up in the wrong hands. Naturally, one does not have to be an office employee or high-security facility personnel to benefit from using a lanyard. They have a wide range of uses for everyday household items as well. A lanyard can hold something as simple as your house keys, and a growing number of men are using them mainly for decorative purposes, attaching them to mobile phones and other gadgets and leaving the lanyard hanging out of their pockets instead of wearing it around their necks. This look can be maximized by using a leather lanyard, which usually comes in brown or black – colors that go well with almost anything. Aside from leather, patterns or logos of the user’s personal preference can be printed on a regular polyester lanyard to showcase individuality without trumping function. These are just some of the materials that can be used for lanyard-making. In addition to beads and polyester, there are also tubular, woven, nylon, cord, and dye-sublimated options that guarantee that whatever your tastes may be, you can find the lanyard that fits your style. If you believe you don’t need a lanyard to be more fashionable, you can definitely still find a use for it to hold personal belongings that you would like to keep with you most of the time, or items that need to be within easy reach when you are engaged in activities while out and about. There are few items that can be as versatile as lanyards and having one or two in your arsenal will surely make your life a little more organized and stylish at the same time. www.wholesalelanyards.com offers quality lanyards at affordable prices.We have the finest customer service staff in the industry and our prices, service and quality are unbeatable.We offers a selection of free attachments as well as a choice of optional extra attachments.They offers the industry’s most economical pricing for lanyards.